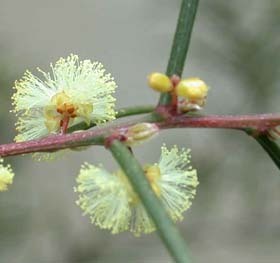 Acacia axillaris is one of several species of Acacia with narrow, hard, sharp, pointed phyllodes. 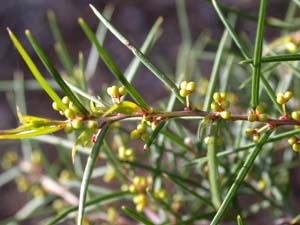 It is a large, rare shrub in eastern Tasmania. The distinctive feature is the flower heads, which only contain a few flowers.